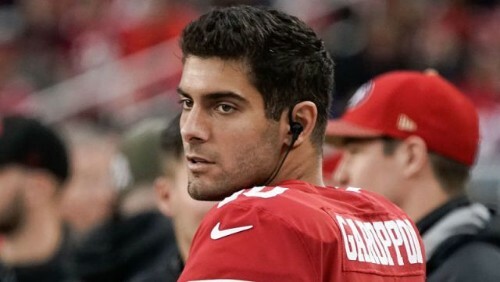 This week is the week where DraftKings finally sees Pat Mahomes at the price he is worth ($7,000), which means that he isn’t worth buying for the first time, Garoppolo is up against the absolutely woeful Defense which Mahomes has been carrying, and so for $500 less, you can back Jimmy G instead, for your higher-price QB option. I think that the Chiefs will continue to put up big numbers, but when they do so, Jimmy will start slinging it against the subpar secondary and he could easily put up 20+ points. If I’m spending a lot, I’m going Garoppolo. Luck has upside every single week, and rarely more upside than he’ll have against the returning Carson Wentz-led Eagles. The likelihood of the Eagles being bad in this game is quite low, and they have two injured running backs (we’ll speak about that soon), and so I think Wentz is going to chuck it – but 1. He’s not 100%, 2. He’s more expensive. 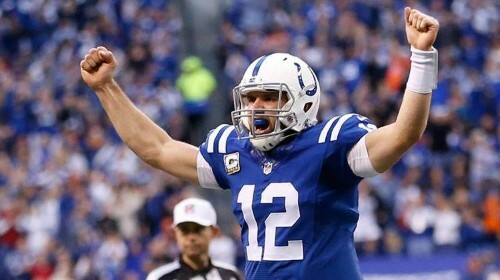 I’d rather opt to roll with Andrew Luck this week at $5,600. His stack with T.Y. Hilton has a lot of potential this week, too. Top Tip: If Leonard Fournette isn’t playing, start Blake Bortles. I am not going to do what everyone else wants to, I’m not going to splash the cash on a running back, I don’t need to buy someone like David Johnson or Todd Gurley, you could definitely make a case for Kamara but he’s $9,500. Instead I am getting absolutely incredible discounts on running backs this week. 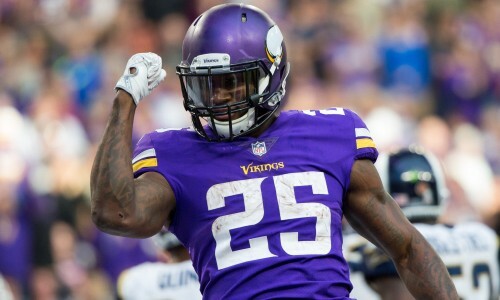 Dalvin Cook is injured, and won’t be playing on Sunday, so Latavius Murray is stepping up to the plate, to take over against the worst team in the NFL. If you don’t play Latavius Murray this week at only $5,800 you’re giving up a discounted RB2 floor with top 5 upside. 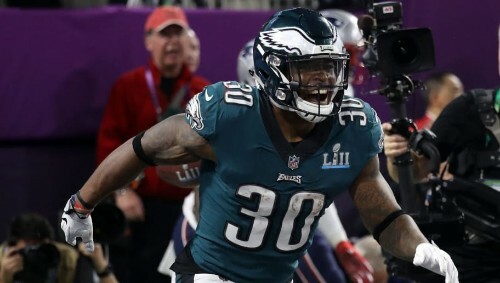 This is going to sound familiar… Corey Clement is starting this week ahead of his two fallen comrades, Jay Ajayi and Darren Sproles. 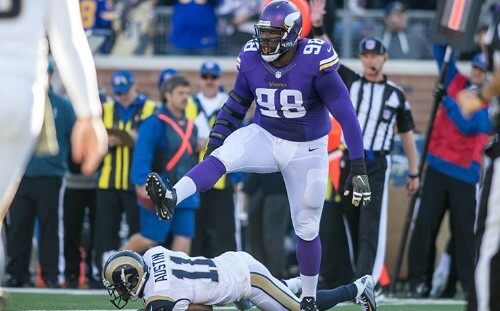 At only $4,300 Clement is the steal of the week on DraftKings. Murray is a must-start and Clement is no different. The way that DK works is that everywhere you save money, you can spend it somewhere else. So these two absolutely huge discounts at RB allow you to splash out at WR. This should be easy. 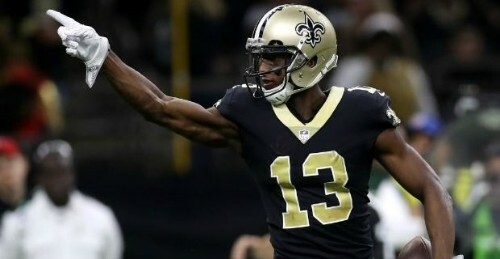 You’ve spent a total of just $10,100 on two absolutely great running backs, so now you can spend the money you saved on a top tier WR, and you don’t get much more top tier than Michael Thomas. The Saints wideout is $8,900, but he is an elite talent, and he’s getting lots of work from the slot this year. This game in Atlanta is going to be a high scoring affair, and I expect both Mike and Julio to be very valuable this week. T.Y. 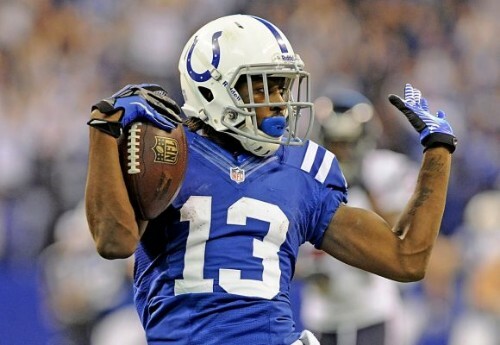 Hilton is one of the few receivers who you can honestly say has WR1 upside every single week. 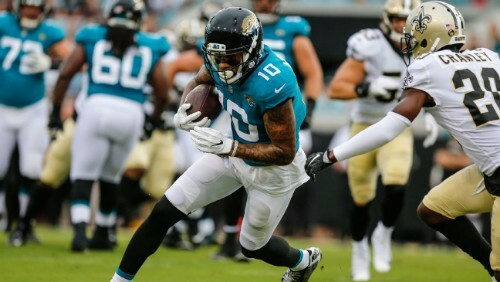 In redraft leagues you’re going to start him every week – usually for players who are like that, you have to spend up big money on DK to play them. For some reason Hilton is only $6,700 this week, and he’s averaging 18.5 FPPG in the DK scoring, what more could you ask for. As I said before, I think both the Colts and Eagles will be throwing the ball a lot this weekend, and Hilton is undoubtedly the most talented receiver in this matchup. Hilton could provide huge upside, but without paying the hefty price tag. This is a sneaky one. If I challenged you to find a startable WR in DK this week for under $4,000 you would struggle. I have found one though, so you don’t have to. If you’re one of the people who instead of just having one expensive RB and using my two budget options, insists on having two ridiculously expensive running backs, then you can pick up Donte Moncrief at receiver for just $3,800. DK is a PPR format, so you can rely on him for a stable floor of 7-10 points, whilst giving you a massive discount that you can spend elsewhere. If Fournette isn’t playing this weekend, Bortles and all of the Jacksonville WR’s get a boost. The perfect combination for a DFS player: A high over/under game, a bad defense, a good QB and most importantly, a very reasonable price. For only $4,500 Kittle is an absolute bargain. That’s the Evan Engram price range, less than Jimmy Graham, but more than Kyle Rudolph (who I like if you need a mid-tier price range). Kittle is going to have a great chance this week to put up points. I see his absolute floor as 5-7 points, and he has a very real chance of a TD as well as plenty of catches and yards. 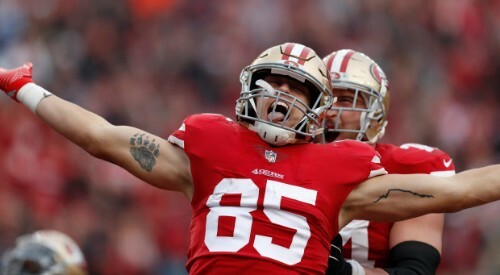 If you aren’t starting George Kittle, I genuinely think there is only one other guy for me. 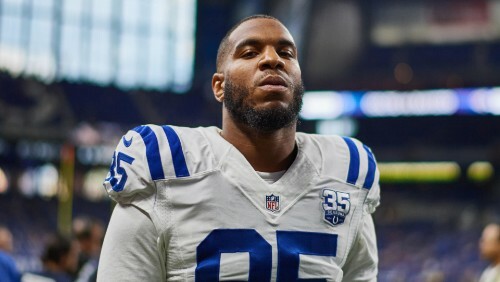 With Jack Doyle out this week, Eric Ebron will be the only Tight End for Indianapolis and he is having a good start to the season at his new team. For just $3,400 you aren’t expecting much, but he has a realistic ceiling of 10-15 points. If you need to save money at the Tight End position, look no further than Ebron. Ladies and gentlemen, for the first time of the season I actually have to provide meaningful advice on defenses. Yes, obviously if you can afford it you HAVE to start the Vikings D this week… But because they are so insanely expensive, I have found some other options if you can’t get them. So just look at the list below and pick the one that you can afford.